Leaving the corporate coffee world of San Francisco and Los Angeles in the 80’s,after stints at Pasqua and The Coffee Bean and Tea Leaf. 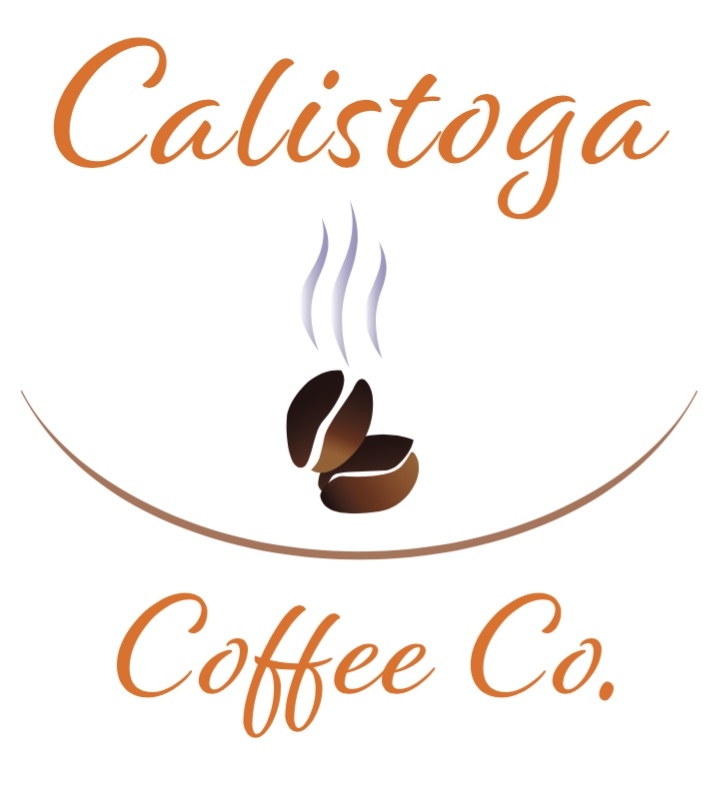 He was drawn to Calistoga by an old colleague Jack Martin to venture out independently and they opened the Calistoga Roastery on July 3rd 1992. Moving to its current location in 2004 the focus remains the same. He wanted to be in total control of the coffee, so the obvious step was to roast their own and thus control the coffee from green buying to roasting to the sale to the customer. It is and always will be about the customer service and the coffee! After business partnerships with Jack and then Terry Rich the legacy continues with Eva King sharing the reins since 2007. The café is open 7 days a week and with the mail order and wholesale life is never dull. He still loves coming to work and the friendships that have evolved over the years make it so rewarding. He hopes to continue for many years to come while suffering living in this not too shabby part of the world! Eva started working part-time for the Calistoga Roastery in 1997. A variety of positions within the company over a ten-year span, ownership was about the only thing she hadn't done. Originally from Eureka, California, she spent many years bouncing around the San Francisco Bay area exploring a variety of interests, studied broadcasting and developed a strong foodservice background working for Togo's. Eva enjoys the " small town living" reality of Calistoga, likes that she can ride her broom to work and feels a little guilty when she drives to the grocery store. If you find yourself in the Napa Valley, take the time to visit the Calistoga Roastery, come on in and introduce ( because they do like to meet you), then sit, relax and enjoy Eva and Clive's little piece of Paradise. 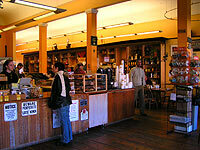 We proudly serve Calistoga Coffee Company fresh roasted coffee. The roaster, Cathy Stewart, was our roaster for many years before she purchased the roasting division from us in April of 2018. You can expect the same great quality and freshness that has been served in our cafe for almost 30 years.